- Jekyll and Hide, The Abominable Snowmen, The Mummy, The Monster of Frankenstein; They are all here. - Editor Dennis J. Druktenis retired after producing 100 issues and new editor Don A. Smeraldi released first new issue (#101) in June 2016. - Published 4 times per year plus an annual yearbook. 20th Anniversary Special! ; Features articles on I Created a Monster! The History of Scary Monsters Magazine; The Brain That Wouldn't Die; Alive...Without a Body...Vintage Reprint; The Early Scary Monsters and Much More! The 80th anniversay BIG BRAIN issue. Everything you'd want to know about THE BRAIN THAT WOULDN'T DIE (1959) with rare photos. SON OF GHOUL, Ohio TV lend celebrates 25 years. 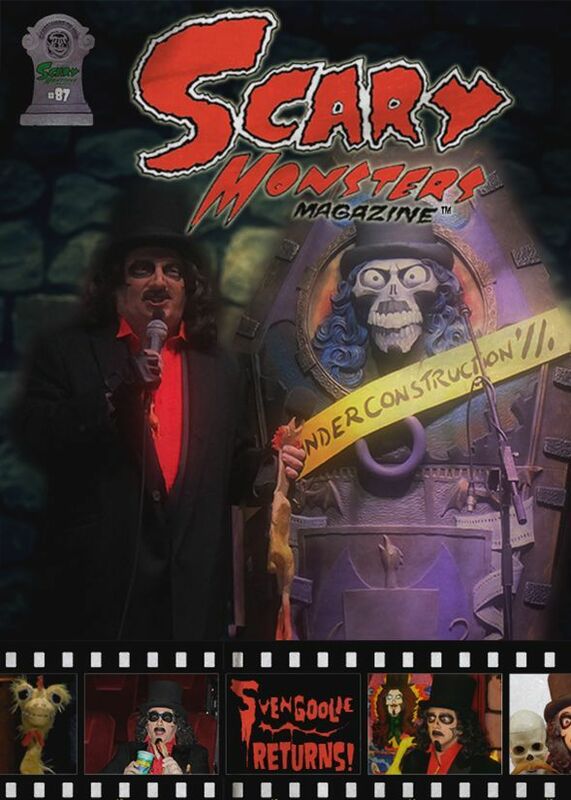 Svengoolie! Halloween and hauntings, monster memories, Paul Blaisdell, Ray Harryhausen KING KONG, The Shock Monster and more!